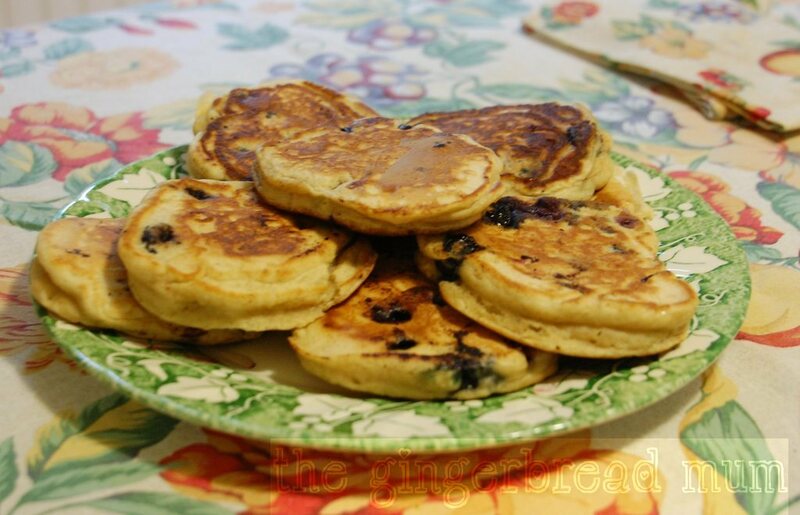 I’ve been looking at flapjack recipes for a while, trying to find a variation that isn’t full of sugar or dripping with butter. 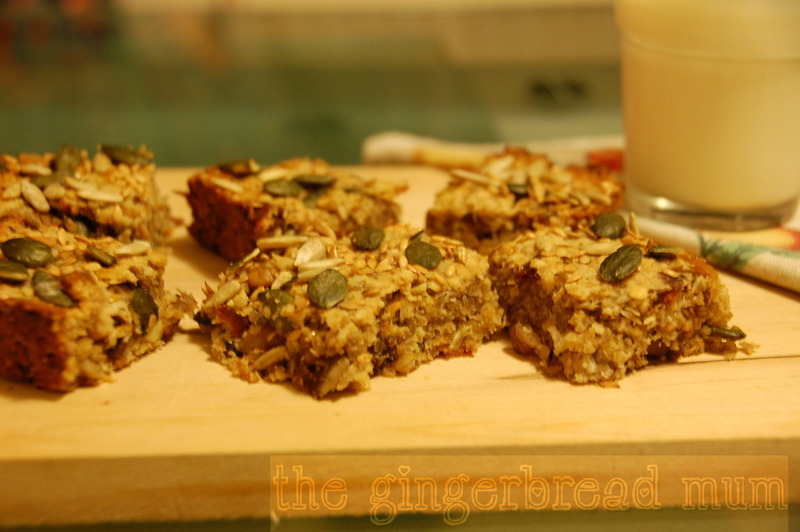 They’re a lovely filling snack and you can easily add nutritious ingredients such as seeds or dried fruit, but also adding heaps of sugar cancels out the goodness for me. I couldn’t find a recipe I liked, so I thought I’d experiment with one of my favourite natural sugar substitutes – ripe bananas. Those horrid looking brown, maybe even black, bananas that often lurk in our fruit bowls are super sweet. I actually have quite a few in my freezer as I always seem to have them at the end of the week and don’t always have the time to use them in something. So instead, I peel them, break them in half, shove them into ziploc bags and throw them in the freezer. The sweetness in my flapjacks comes not only from ripe bananas, but also from some honey and dates. 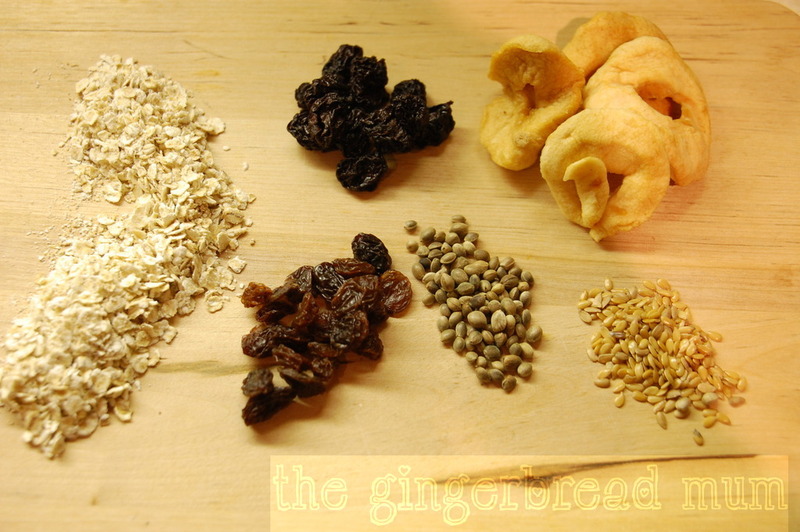 If you want to experiment with different flavoured sugar-free flapjacks, make sure you include some sweet dried fruit. 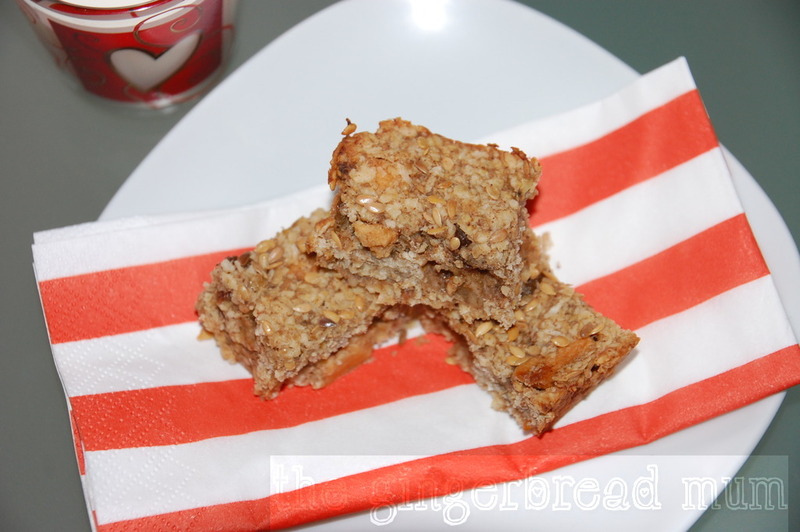 Flapjacks are great as they can be very simple or full of different flavours and textures. You can experiment with different seeds or different nuts, and you can also add some spice like cinnamon or ground ginger. For me, next time I make these I’ll leave out the walnuts, as the seeds were enough for me with the fruit and coconut. 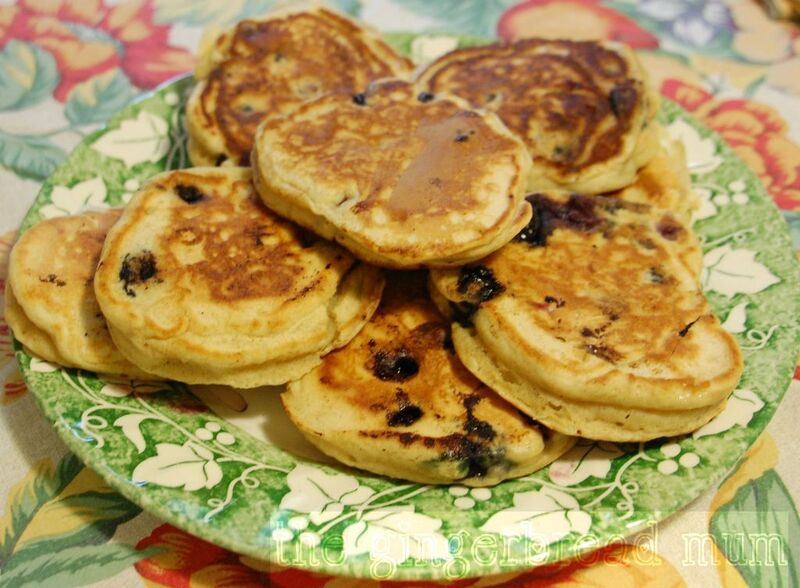 Flapjacks are a filling snack, especially if they’re soft inside like these are. Hubby, who’s not familiar with flapjacks and their dense texture, suggested having them as a dessert with custard to lighten the taste. And why not?! 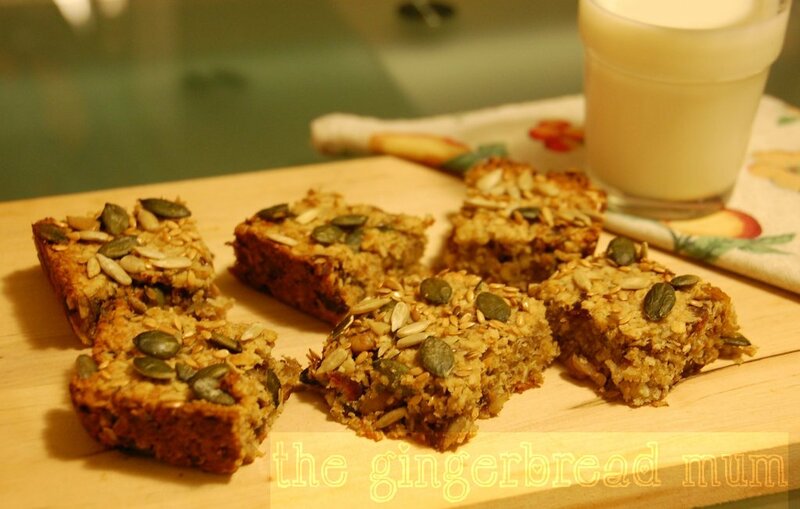 In a large bowl, mix the oats, dates, coconut, walnuts, pumpkin and sunflower seeds together. Add the vanilla and mashed bananas to the melted butter and honey, and then pour into the dry ingredients. Mix thoroughly. 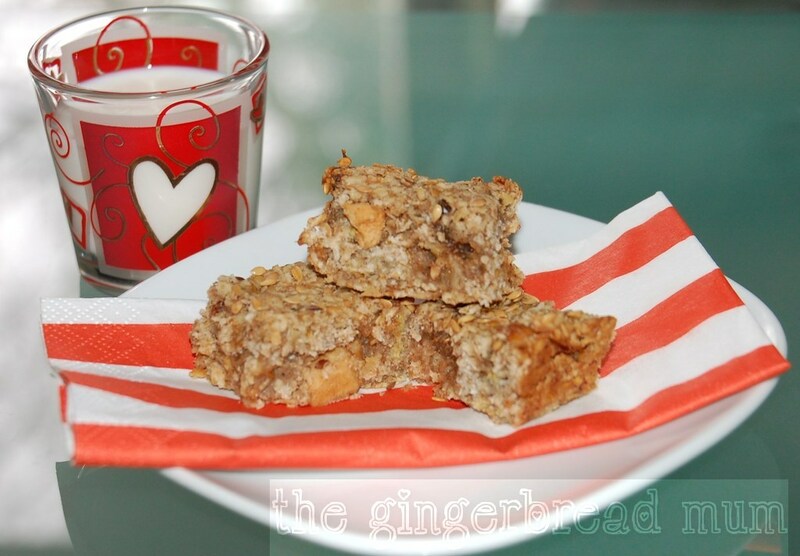 Posted in cooking with toddlers, family, recipe, snack, toddler and tagged finger food, flapjack, oats, recipe, ripe banana, snack, sugar-free, sugar-free flapjack, toddler, vegetarian. Bookmark the permalink. Their faces are quite mean, but Nicholas loves growling at them! These jack-o-lantern pancakes are full of sweet potato goodness with chocolate drop features, however you could use raisins to make the faces and then they’d be completely sugar-free. Head over to Mindful Mum to see how you can make them. 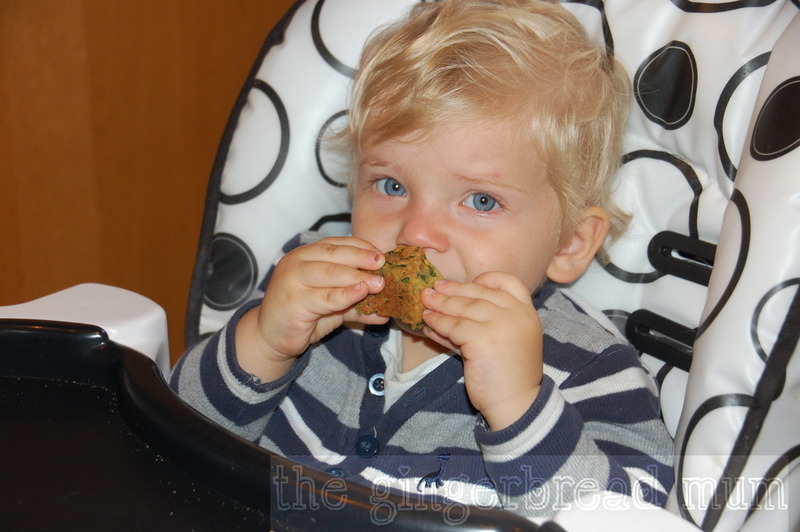 Posted in breakfast, family, recipe, snack, toddler and tagged finger food, Halloween, Mindful Mum, pancakes, recipe, snack, sugar-free, sweet potato, toddler. Bookmark the permalink. World Porridge Day was actually yesterday and while we ate porridge, I didn’t get around to posting about it. However, as cupcakes and chocolate get a whole week in the UK, I figured the humble and nutritious porridge’s day needs to be extended, especially thinking about the reason behind it. World Porridge Day was started to raise awareness of and money for Mary’s Meals, a Scottish charity feeding starving children in Africa. Mary’s Meals provides daily servings of likuni phala, a nutritious, vitamin-enriched maize porridge to more than half a million children in 16 of the poorest countries in the world. But they don’t just give them nourishment. The porridge is served in schools, encouraging children to go and learn. Each child also has the responsibility of looking after their plastic mug which is filled with porridge. By serving one simple meal, Mary’s Meals is doing a lot more than just filling bellies. Mary’s Meals are also an amazingly efficient charity. How much do you think it costs to feed a child porridge for a whole year? How much do you think you spend on your family breakfasts over a year? It costs just £6.15 (about €7.20 or $10) to feed a child for a year. Less than £7 for a whole year! I’ll let you absorb that fact while I move on to some porridge flavours and variations your munchkins (and you) might like. I’ll leave you to cook your porridge the way you prefer (I like the microwave to avoid having pots to clean) as I’m certainly not a porridge-cooking expert! While traditionally porridge is made from oats, water and salt, I always use milk for its calcium content and some kind of sweetener, usually fruit or a little bit of honey (for when babies are more than a year old). To make a smoother porridge, more palatable for babies, either grind up the oats before cooking, or blend your finished porridge until it’s smooth enough. Another way of softening the oats is to soak them in some of the cooking liquid overnight. Start with adding one simple flavour your baby is already used to, like banana. Once you think your munchkin is ready for some more complex flavours, add some warm spice like cinnamon or a dash of vanilla for extra sweetness or start combining flavours. The easiest and healthiest flavour to add to porridge for little ones is fruit, and then there’s no reason to add any sugar. Add it fresh or frozen. Mixing through frozen fruit has the advantage of cooling the porridge down (very important when your toddler is being impatient!). Here are some of our favourites. You can use raw apple (finely grated) or cooked apple (apple puree or unsweetened applesauce/stewed apple). Add raisins (soak them overnight if you want them to be plumper and less chewy) and a small pinch of nutmeg. You could also add some chopped dried apple. 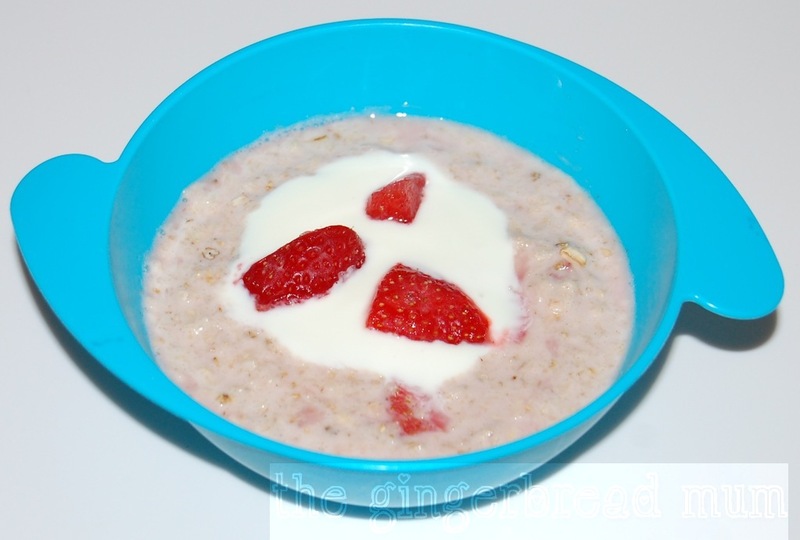 Mix chopped strawberries (fresh or frozen) through cooked porridge and add a dash of vanilla. Any cooked fruit works great swirled through cooked porridge (peaches, plums, apricots, strawberries). I don’t add sugar while stewing the fruit, but check the taste of the porridge adding some vanilla for sweetness or honey. A small pinch of ground ginger also works well. A lovely ripe uncooked pear mashes very easily into cooked porridge. Add a dash of vanilla. For mornings when you need to get ready fast, what takes even less time than mashing some fruit into cooked yogurt? Stirring through some fruit yogurt also cools the porridge down (saves you blowing time!). Any packaged fruit purees or purees you’ve made yourself mix through quickly. Some mornings you just need a little indulgence to start the day happily. Any chocolate you have on hand grated over cooked porridge. Add some mashed banana as well to feel healthier. Maple syrup works just as well. Haven’t tried it, but it’s your morning coffee and breakfast all-in-one! Once you’ve added your flavourings, why not also sprinkle or dollop something on top? Pumpkin, sesame, flax/linseed, sunflower seeds, etc. 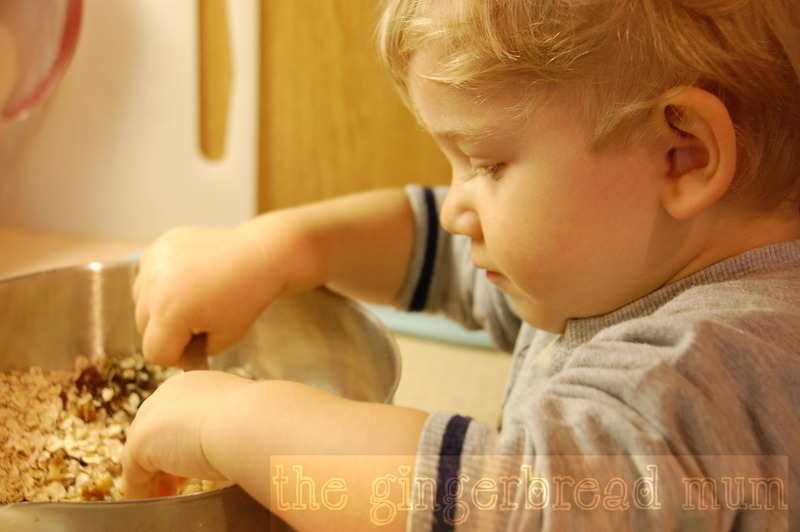 For toddlers, grind up larger seeds and/or soak them overnight. Sultanas, raisins, cherries, apples, pineapple, mango, etc. Chop larger pieces up. Soak overnight for softer fruit. Slices of banana, strawberries, pear or whole blueberries are yummy. You can use other liquids to soak and/or cook your oats. Fresh apple and orange juice add another level of flavour to your porridge. Feel like you’re in the tropics! If you’re sick of the same old flavours, why not add something daring to your oats? Made with pumpkin puree and lots of warming spices. 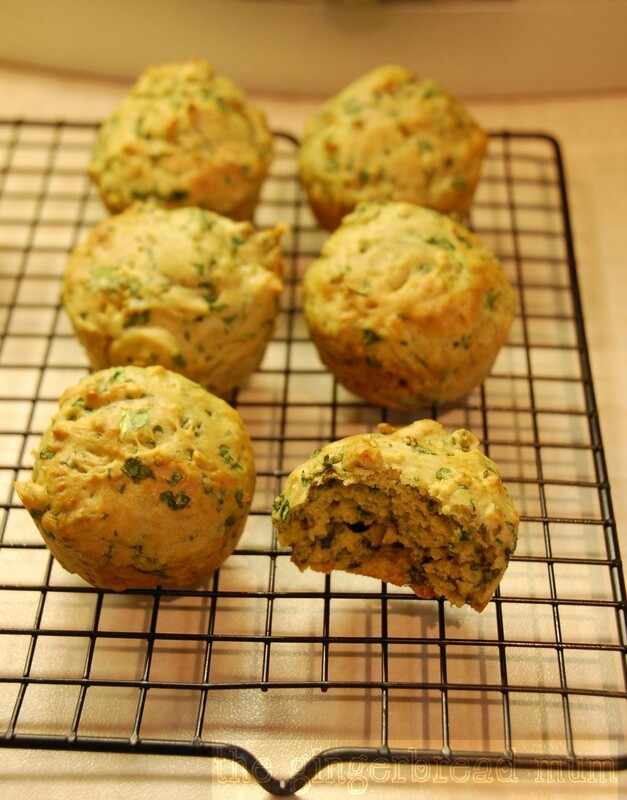 A brilliant inventive recipe from Elle Bakes using grated carrot and spices. 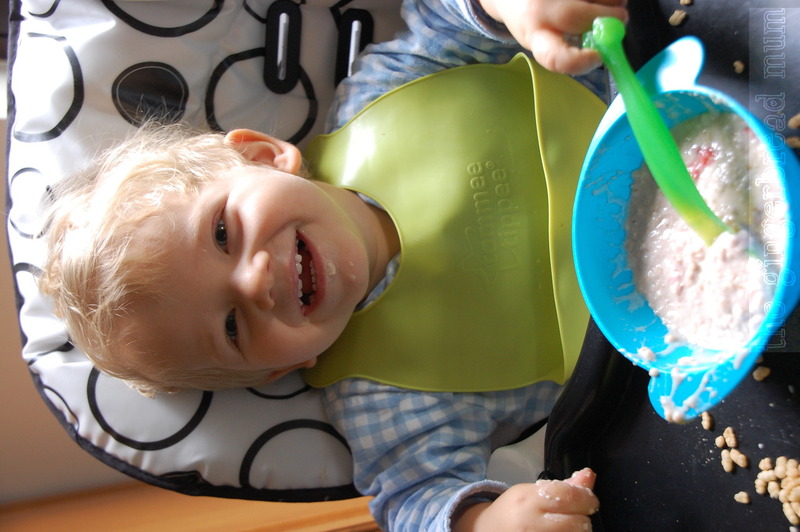 What do you like to add to your or your munchkin’s porridge? What do you do if you have porridge leftovers? I hope I’ve given you some ideas to vary your bowls of porridge. But also remember how porridge is changing the lives of children in Africa thanks to Mary’s Meals, and how little you would need to donate to feed a child for a whole year. 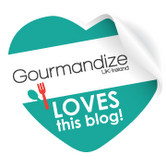 Posted in baby, breakfast, family, recipe, toddler and tagged baby, breakfast, chocolate-covered Katie, Elle Bakes, family, Mary's Meals, porridge, recipe, sugar-free, toddler, vegetarian, World Porridge Day. Bookmark the permalink. One of the food blogs I religiously read is Smitten Kitchen. I love Deb’s laid-back approach to family cooking and the wonderful creations that come out of her small New York kitchen. I particularly love her homemade versions of snacks you might secretly buy at the supermarket checkout. 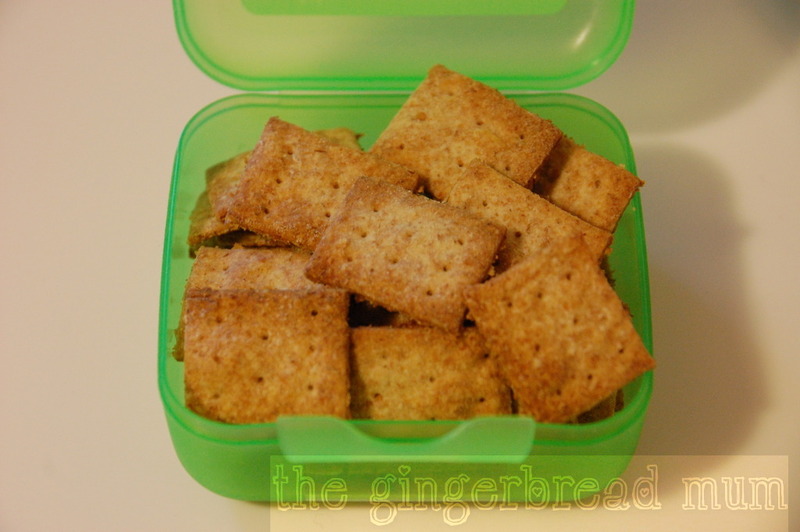 Her whole wheat goldfish crackers have been on my list of recipes to try for a while, but when her homemade wheat thins popped into my inbox I was running to the kitchen immediately! With a food processor you can make these mini crackers super fast (if you don’t have one, follow Deb’s instructions to mix the dough by hand). Most of your preparation time will be rolling and cutting. If you’re a bit short of time, only roll out half of the mixture and keep the rest of the dough in the fridge to make the next day (or even freeze the remaining dough). 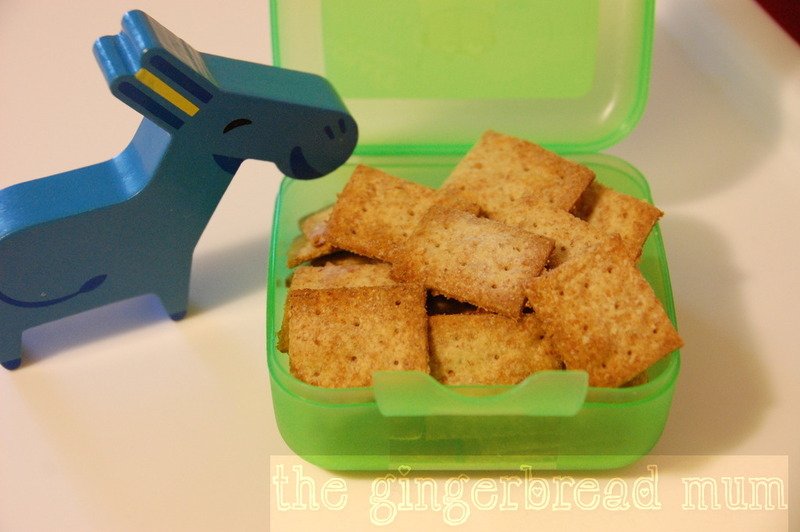 You don’t need to make the dotted pattern on each cracker, but it does look cute! I adapted Deb’s recipe slightly. I replaced the sugar with honey. I know, I have this thing against sugar when making things for Nicholas. Actually there’s very little sugar in the original recipe, but I still prefer substituting something a bit more natural and less refined. Honey’s also sweeter so you can use less, and after using it for a while now, I actually prefer its richer more mellow flavour to the harsher stronger taste of refined sugar. Anyway, enough of my honey rant! As Deb says, you can use white flour and the result will be a lighter texture. 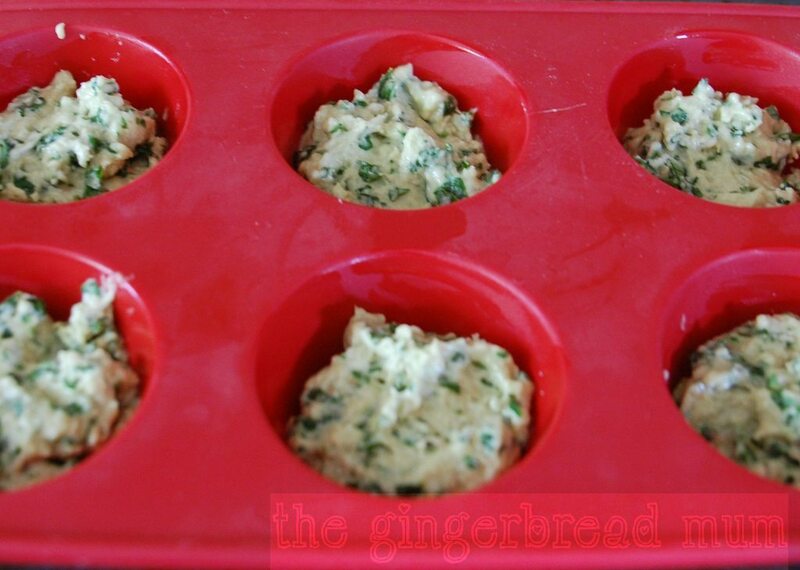 I also can’t wait to try these again adding some onion or garlic powder, or some dried herbs. You could also make them cheesy. Put the flour, honey, 1/2 tsp salt, paprika and butter into a food processor. Blend the mixture until it’s combined and the butter is evenly disbursed. With the motor running, slowly pour in the cold water and blend until the mixture comes together into a ball. Take the dough out of the processor and divide it in half. Roll out one half of the dough as thin as you can (rolling the dough out over a piece of cling film makes sure it doesn’t stick to your bench and be generous with the flour on your rolling pin). The thinner you can roll it, the crisper your thins will be. Cut rectangles about 2.5cm by 2cm using a knife, a pastry wheel or even a pizza cutter. Place them close together on your prepared tray and use a skewer or toothpick to poke some dots into each one (I poked three dots from top to bottom on both sides and two dots in the middle). Sprinkle with extra salt, if using. 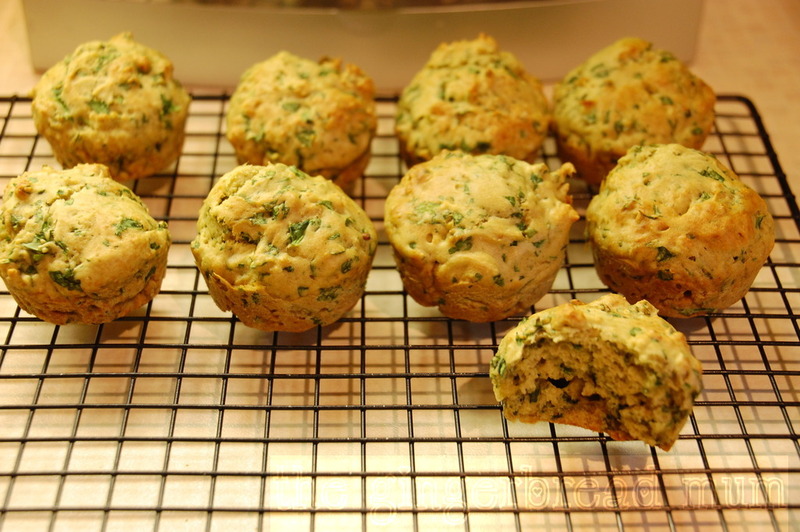 Bake for 7 – 10 mins until golden brown and crisp (keep a close eye on them as they cook quickly). Tip: if your thins start getting soft, pop them back into the oven to crisp up for a couple of minutes. 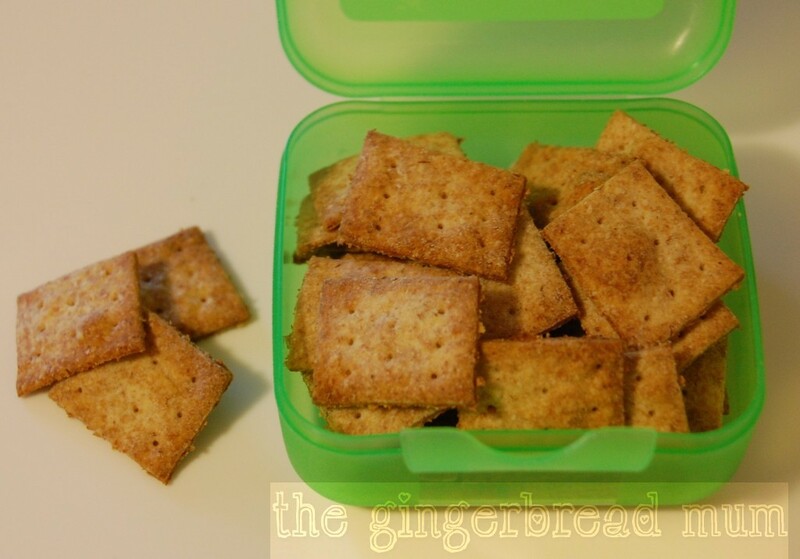 Posted in family, recipe, snack, toddler and tagged family, finger food, recipe, Smitten Kitchen, snack, sugar-free, toddler, vegetarian, wheat thins, wholemeal. Bookmark the permalink.